Simi Valley, CA (October 15, 2018) – What do you call a marshmallow-soft, squishy animal pillow? Any consumer that has walked down the aisles of Michaels Stores or CVS can tell you it’s Moosh-Moosh. Since launching this year, more than three million cuddly characters have been sold! 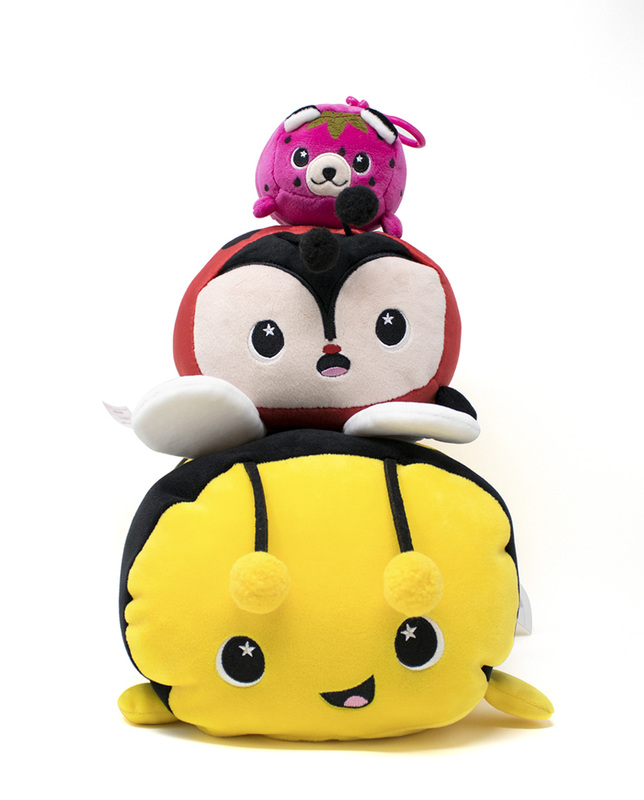 Snuggle, squish or stack ‘em, they are addictive in a happy childhood kind of way! Moosh-Moosh makes the perfect December present for stocking stuffers, dreidel game prizes or an under-the-tree surprise. 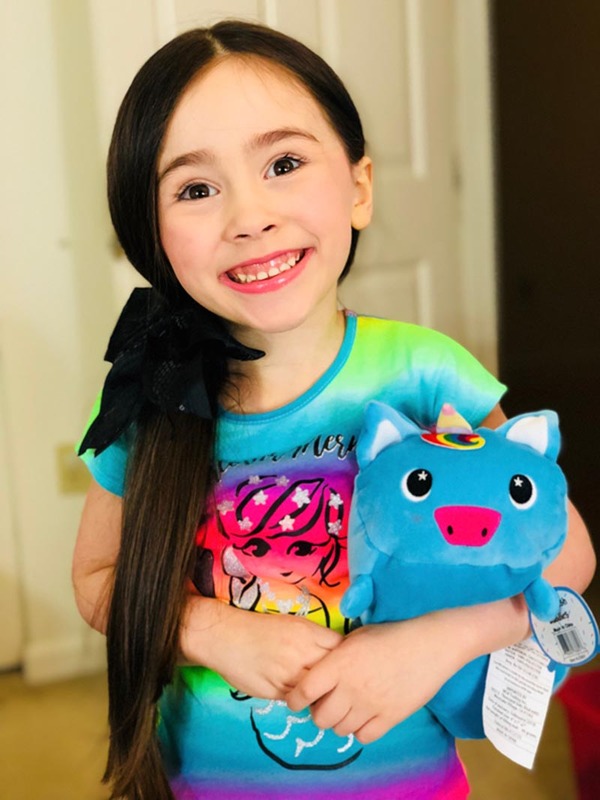 Best sellers Crush the Shark, Midnight the Cat or Chunky Monkey are just a handful of the wide assortment of endearing personalities that kids (and adults) will want to hug and squeeze. Your holiday gift will be adored for years to come. With the popularity of Moosh-Moosh everywhere, the Holiday 2018 Collection has expanded with ooohs and aaahs such as Sequin Plushies that change color with a swipe of the hand. Christmas-themed plushies resemble an elf, a snowman, a reindeer and even Santa. As kids receive an allowance or Christmas cash, wrap up a Moosh-Moosh Bank with Sound that holds up to $100 in coins. Watch as a child plunks two quarters into the slot and is rewarded with a Meow! Or Roar! The endearing animal plush “talks” with each deposit. The sound activated plushies measure 6” x 7” and look adorable on a bureau or bookshelf. Need more gift ideas? How about Moosh-Moosh Slipperz! Treat the feet to super softness and a whimsical look that everyone in the room will smile upon. Cat? Shark? Bat or Pup? There are more than a dozen characters waiting to be wrapped up and snuggled. Give the gift of warmth and practicality with a combo Moosh-Moosh Hooded Blanket and Slipperz — to be sold at Walgreens starting November. Keep little heads, shoulders, knees and toes covered with the softest fleece. The Hooded Blanket ($24.99), with its own endearing “eyes and ears” comes in six characters including Panda, Pug, Shark and Dino. Take a picture and tag them with the hashtag #mooshmoosh. Be sure to sign up on their website homepage for a free newsletter offering specials and plushie news from around the world. @Bellarosedunn1, 5-year-old Instagram star, is a fan of Sparkles Moosh-Moosh. 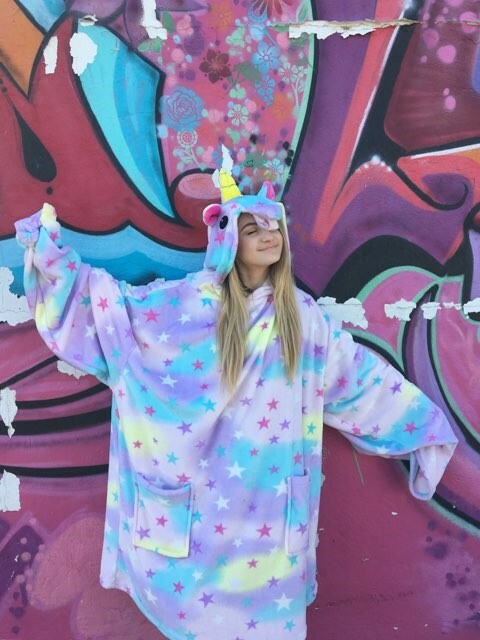 MMG Brands, headquartered in Los Angeles, CA, is the creator of the crazy-popular Moosh-Moosh, and other brands. Moosh-Moosh are cuddly-soft, adorable squishy plush in an array of characters and styles, from clip-ons to pillows to slippers to hooded blankets! In business for over 30 years, this dynamic sales and marketing manufacturer monitors and assesses retail product trends and uses this information to create desirable and fast-moving consumer merchandise. This is accomplished via an expert in-house design and marketing team, combined with over three decades of manufacturing, importing and logistics experience.